Reading | I haven’t shared a reading post this month, but I’ve still enjoyed some pretty great books, especially „The Lost Art of Keeping Secrets“ and „The Uncommon Appeal of Clouds“. If you’re looking for books you can just get lost in and have a relaxing afternoon, these are exactly right. I just started reading „Extremely Loud & Incredibly Close“ and it’s just as great as everybody says, I can hardly put it down. Listening | I had the pleasure of going to a William Fitzsimmons concert this month and it was so much fun. He’s definitely one of my favourite musicians and now his new album is on repeat over here. James Vincent McMorrow’s new songs are favourites as well. Working | I finished all my exams in February and it feels so good! I still have a few papers to write, but just being able to take an afternoon of without thinking about everything I should be doing feels great! Creating | Less than I would have wished to be honest. After work and uni I’m often too tired to be creative again, but I miss it. Moving | I’m happy to report though that I’ve been exercising a lot more this month! You can’t really call it regular yet, but I’ve really enjoyed going swimming and also jogging a lot more. I hope I can keep that up next month! Meeting | An old friend of mine who I haven’t seen for almost a year came for a visit this month! It was so great, we talked about everything, cooked a lot, planned some trips for the year (yay) and just enjoyed our time together. Why can’t all good friends just live close by? Eating | I tried a lot of new recipes this month! I’ve tried a few recipes from the Leon cookbooks (again, everything tasted wonderful, you need to get this book if you haven’t) and made pancakes and omelette for breakfast, risotto for lunch and whole bunch of veggie meals I thought of myself as well. I also finally found a bread recipe that’s easy and super-good. 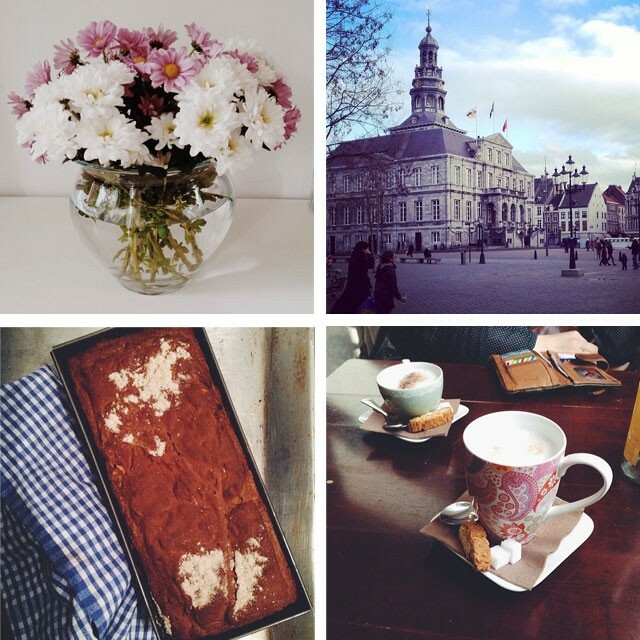 Traveling | I visited Maastricht again this month. It’s a lovely little city in the Netherlands, that’s only one hour away. I definitely want to go again this summer, when it’s warm outside. Starting | I got the news that I could lead my own small group in church (with a friend). I’m a bit intimidated, but I can’t wait! Wearing | As almost everybody at the moment, I’m in love with the whole lean closet movement. I started building my wardrobe this month and got some basic, good quality garments that I hope to be wearing for many, many years. 1 | As I’ve mentioned, I really want to be more creative on a regular basis again. This month I want to try painting again (just for fun) and maybe start some hand-lettering as well (instead of just looking at pretty pictures and wishing I could write like that as well). 2 | This is somehow similar, but taking more pictures is on the list as well, even if it’s just a little post on Instagram. 3 | Visit my grandma more often. Since I’m not at home at the weekends, I hardly see her anymore and that has to change! 4 | Bake some more (for friends and family). I don’t know it that’s really a goal, but I miss baking. I guess that’s it for now! What about you? Did you enjoy February? And what are your hopes for March? 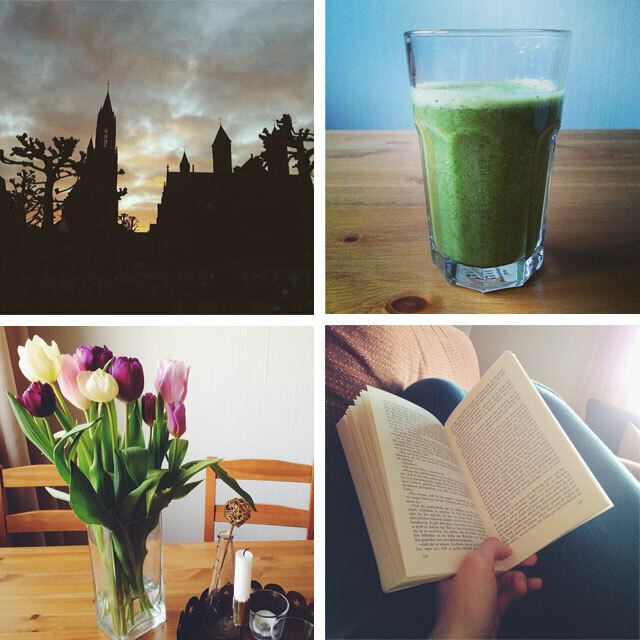 All pictures from my Instagram.